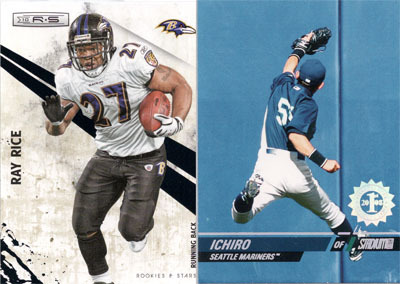 Over the last 15 years, sports cards have undergone an evolution of epic proportions. The modern "hit" reshaped the sports card world more than any other innovation since the vintage era, opening a box without an autograph or memorabilia card has become the sports card equivalent of watching TV with only 5 channels. Unfortunately, the introduction of the hit has contributed to the erosion of several timeless traditions upon which sports cards were built as well led to several complications in the collecting process. Below are five attributes that every sports card should have. Each and every base card made should include a player's career stats. 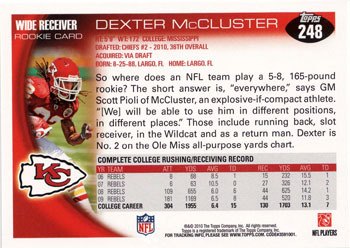 All too often the back of a card only displays a players previous year's stats. The saving grace of a bad stack of base cards should be the stats on the back. I remember spending hours on end reading the backs of baseball, basketball, and football cards when I was younger. Without stats, sports cards feel more like pieces of cardboard than timeless collectibles. Each card should give us some interesting info about a player, whether it be a scouting report, a quote from a head coach, an interesting story, or anything that tells us a little more about the player, something that the stats can't tell us. This is what I miss about the demise of products like Stadium Club. Stadium Club always put a great deal of emphasis on finding the pictures and moments that captured the essence of each player. Today, only base Topps and a handful of brands excel in photography. All too often a product simply cuts and pastes a player's picture onto a backdrop of futuristic shapes and colors. Sports cards should capture the moments and memories that define a player, cards should conjure up memories of past glory, they should serve as a cardboard scrap book of a player's career. 2010 Topps Factory Sealed Football Jumbo Box Gronkowski Tebow RC's ?? Couldn’t agree more. This is the reason I generally like to stick to Topps. I have picked up a few boxes of Upper Deck and might consider grabbing a Panini release in the next couple weeks, but I really enjoy the photography of Topps far more than any of it’s competition. The cards just seem so much more exciting. While simple sets such as Topps Series 1/Series 2 are less expensive and very common, I think they have the most thorough statistics and factoids along with the great photography. In my opinion, Topps is in a league of their own (obviously along with Bowman). Sorry, out of the game for several years here. But if they really don’t put the career stats on the back that is disgusting. Couldn’t agree with you more on that one!